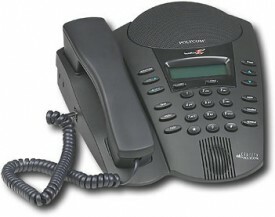 Calling is one of the most frequently used ways of following up or getting in touch with potential clients. Unfortunately, as I’m sure you know, those calls don’t always get through. In fact, I would say they don’t usually get through—and that’s where leaving a great voice mail comes in handy. Not all voice messages are created equally. Some are left so hastily that they’re difficult to understand, others are missing a key bit of information. Many messages just aren’t interesting enough to get a return phone call. Don’t miss out on any potential customers, and make sure you leave voice mail messages that get your calls returned. The first part is message clarity. If the recipient of your voice message can’t clearly understand you, then nothing you say will be able to have an impact. The second key element of a great voice mail message is content. Assuming your potential customer can hear and understand what you’re saying, the deciding factor in their response will be personal touch, and you’re ready to go. It helps a lot to think about your voice mail before picking up the phone to dial—if you have a good idea of what you’re going to say before you get to the beep, you’ll be much more likely to leave a clear message. Also, if you enjoyed this article, check out the rest of the effective small business communication series. And feel free to subscribe too. Can I add one? It sounds obvious, but clearly it’s not. Leave your name. Then leave it again. Oh my goodness. I was just rereading my comment and at the top, where it says “It sounds obvious, but clearly it’s not”, I just realized it sounds like I’m talking about you! I am SO not!!! I just meant to say that considering how assinine most people’s voicemail messages are, common sense ain’t so common. If it caused offense, I promise I didn’t mean it. Still, though. Always call back. I’m not sure that I’d want to leave my name twice, though that’s certainly a personal preference. I generally don’t like being repetitive (notice I didn’t advocate leaving your number twice, which I think is redundant in this era of caller id), even though the repetition might be useful. I think it’s a personal choice for people to make. Your second point, about calling back, is right on the money. In fact, I think it warrants an update to the actual article. Always call back. Maybe that’s why you’re the one writing blog posts about leaving professional voicemails. I think this goes along with the “speak loudly, clearly, and slowly”: I’d asdd try to avoid saying “uhm” and “like” ... esp the former, since that can represent uncertainly and thus portray lack of confidence on what the message-leaver is saying. Another thing I add is to slow down when you give your phone number. Some people just rush through their numbers so fast, I have to repeat the message 3 times, and still can not figure out what numbers they left. After 3 times, I normally give up and delete the message, unless it is from an important customer or from my boss (!). Brandon - definitely avoiding umms and ahhs will help move your message along, and make it much more professional. Asako - It’s true, it can be very difficult to understand people who rush through their numbers. I’d recommend trying to slow down through the entire message though, that way everything is spoken clearly and without too many pauses or trip-ups. Im a newly appointed Sales Rep, for some neglected accounts. I feel a sence of obligation to produce where others have failed. Once the receptionist relays to my targrt which company Im with, my contact / key person is suddenly unavailable. Wow, really? Im offered their voice mail box . What can I say to get a call back?